What the cameras didn’t show was me… on the verge of passing out having just heard one of my culinary heroes imploring me to join his team on The Taste. The truth is this. It had to be #TeamAnthony. Nobody has inspired me more than Anthony Bourdain to search for the very best in food out there… from down and dirty street carts to the finest of restaurants. And at the end of the day, it’s all those meals… those food memories, that form the core of the person and cook I am today. Just to have the chance to meet, yet alone be mentored by the man himself is a dream and it makes me incredibly proud to have flown the flag for Malaysian cuisine with my Nyonya Sambal Prawn dish on the series premiere of the competition. 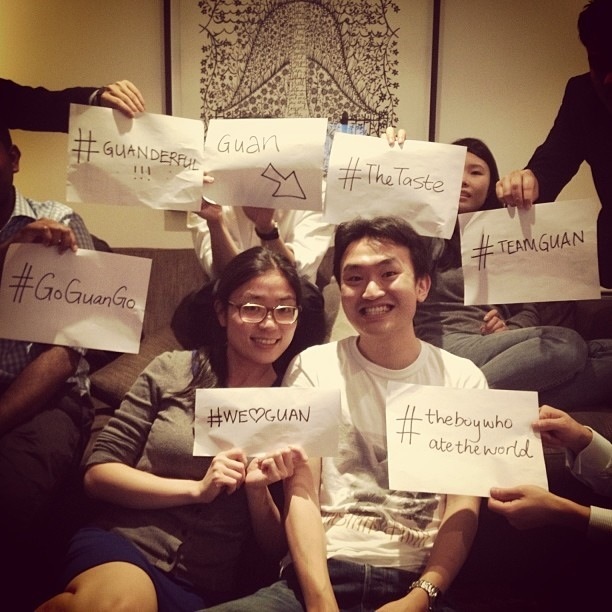 The icing on the cake has to be the messages of congratulations pouring in from #TeamGuan, both here on the ground in London and from loved ones in Malaysia and around the world. Much gratitude for the support and cheering me on! So onto the Final 12 we go. 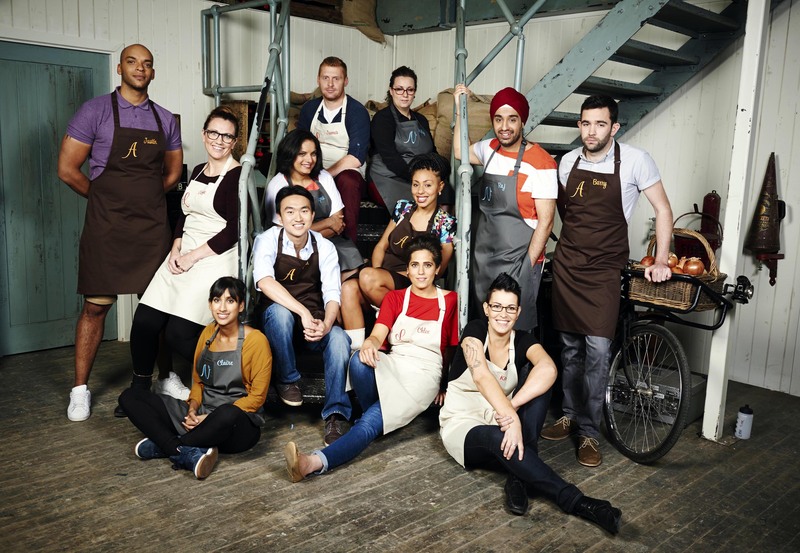 And what an incredibly talented bunch of cooks I’ll have the pleasure of competing against. And genuinely some of the nicest human beings I’ve ever met. Tune in to see how the rest of this story unfolds. 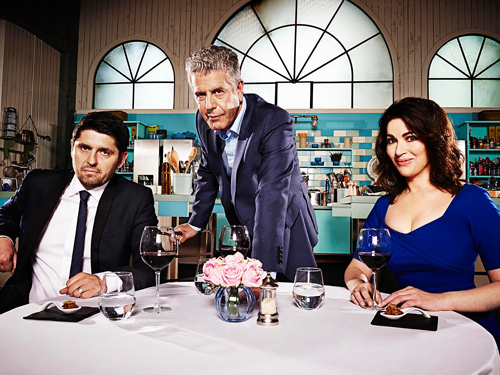 The Taste airs Tuesdays 9pm on Channel 4. UK folks can catch up on Episode 1 of the series on demand here. I tuned in just to see you, Guan! I really appreciate that you didn’t spoil it for us. I got quite excited to see Anthony (and Ludo)’s reaction to your food especially knowing how you feel about AB. Well done! Looking forward to Tuesday. @Janice: Thanks for the support Janice!! Yes, it’s a dream to have the chance to work with Bourdain. Roll on episode 2! Hey Guan. Couldn’t be more proud of you! You are doing a way Btr job than tan Sri representing Malaysia! Hope to see more of you in the coming weeks. 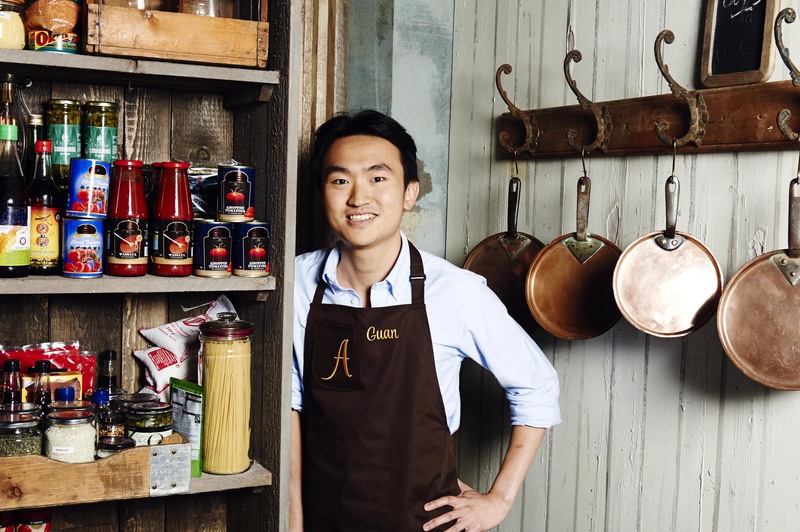 Hi Guan, been on call this week so finally just watched it on catch-up – it was amazing – well done!! Looking forward to next week so best of luck! 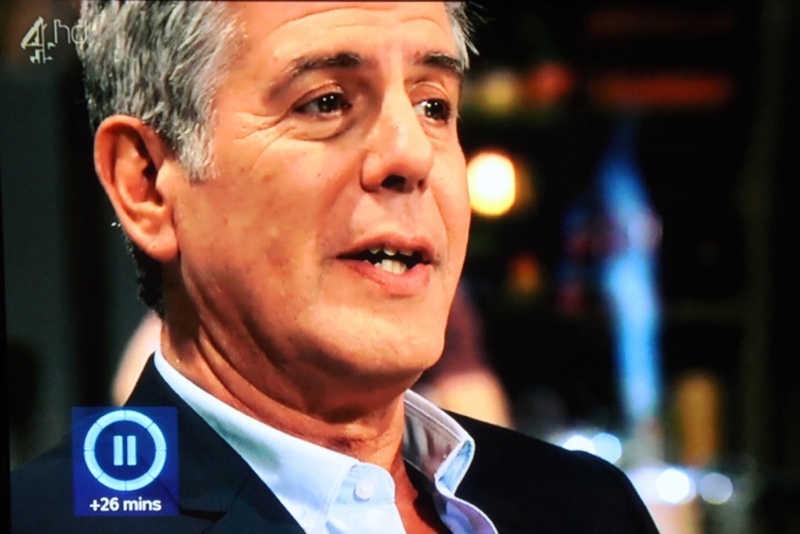 Yay, I did see it, was lovely to see your reaction to Bourdain’s comments. GOOD LUCK! 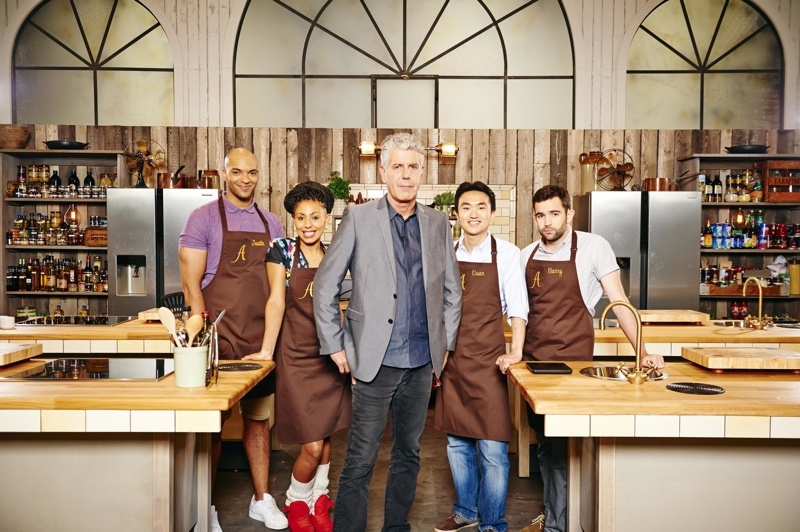 I’m surprised your blog hasn’t exploded yet from your newly acquired #TheTaste fans 😀 You actually looked pretty chilled when Anthony was complimenting you/when you were deciding on the team. Congrats on your immunity and progressing through to next week, good luck for the rest of the competition! Oooh that wink suggests you made it through?? The eps are filmed a week in advance right? @Bobbie: Won’t give anything away, watch it unfold for yourself =)! Filming for the whole show wrapped last year (it’s the case with most cookery programmes). We contestants just have become very good at keeping secrets. @Bobbie: Yes, do come to the Supper club at some pt. Will release new dates in the coming weeks. Hmmm interesting wording…! Does that mean you didn’t win? Oh the spoilers! Although, it’s just as well that there isn’t a monetary prize. I had a browse at the original US version where the reward was $100,000 and a car, and unfortunately the contestants became extremely competitive and b*tchy. I watched a few episodes and stopped. The UK contestants definitely seem far nicer. Love the stage set.looks like something Brunel might have built! @Stuart: Indeed, the set was one of the most awesome parts of the experience. Our set designer was a real wizard! @Pui Yee: Tx for the support! Proud to fly the flag for Malaysians and Malaysian food. @Kenny: Thanks for the support Kenny! Hopefully see you when I’m ever back in KL for vacation! Super well done for being the last *man* standing in the competition though. My colleagues and I are very excited about tasting your food in a few weeks’ time! @Crystina: No regrets, glad to have made it as far as I did. Looking forward to hosting you guys later this month!